Fed Up with Your Pharmacy? Dedicated to your health and overall well-being. 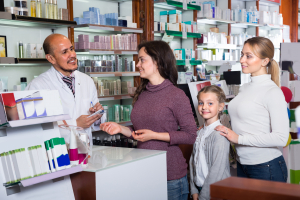 As a family-owned and operated pharmacy, Palms Pharmacy is determined to providing you with the pharmaceutical care you deserve. This is why we offer all the essential retail pharmacy services. With our dedication and years of experience, you can rely on us to satisfy your medicine-related needs. To learn more about our retail pharmacy services, please contact us at 561-513-9161 or send us a message online.